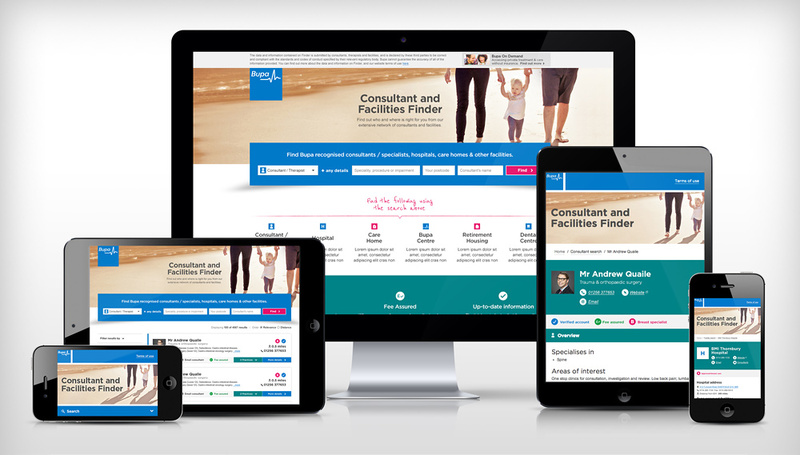 Bupa Consultant and Facilities Finder is a comprehensive online directory of Bupa recognised consultants, therapists, hospitals and healthcare services. 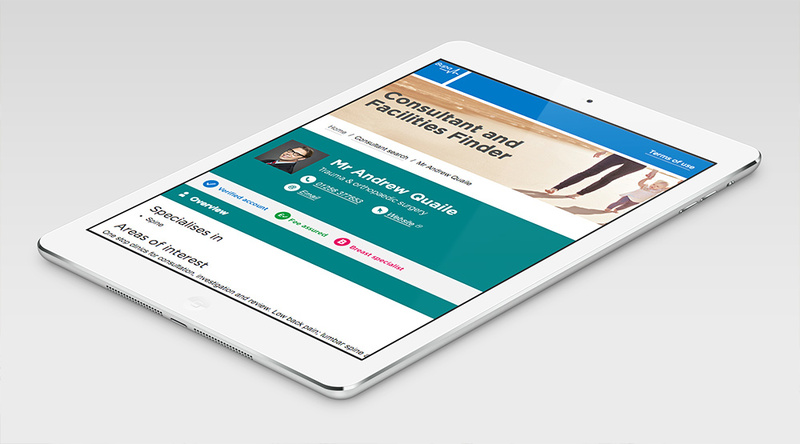 Drive Creative Studio had worked with Bupa on the initial rendition of ‘Finder’, before being briefed with a complete graphic user interface design makeover and responsive build implementation, for a modern and responsive user experience. The graphic user interface design stage took Bupa’s comprehensive brand guidelines into consideration – vibrant and lively tones of colour and styles of imagery, typography and iconography were vital in depicting a consistent feel with their brand. In both design and development we focused on the presentation of information throughout a wide range of desktop screens and mobile devices, creating an optimal viewing experience for every user.